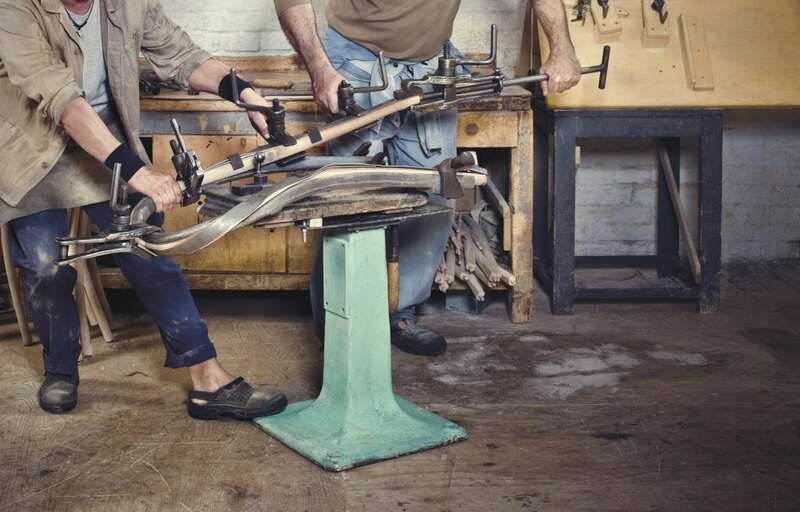 In 1861, a bent furniture plant was opened in Bystřice pod Hostýnem and today it is among the oldest in the world. It was no coincidence that its founder Michael Thonet, whose name the plant bore, chose this place. Surrounded by beech forests offering enough material for the manufacturing process, Bystřice pod Hostýnem also saved on transportation and labour costs thanks to its location. 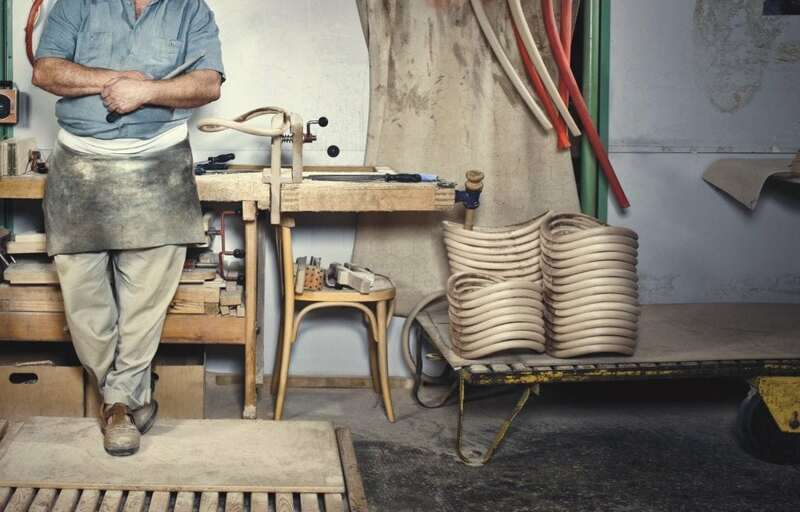 Due to a very unusual industrial labour organisation system, where the workers specialised in only one task, and the use of unique technologies, were factors that helped the chairs from Bystřice compete at a reasonable price globally and thus saw the company expand all over the world. Within ten years of the company starting, 300,000 items of bentwood furniture were being made annually. By 1912, the number had risen to 445,000 items and almost 2,000 people were employed. The Thonet family took care of their employees by setting up vocational schools for wood processing, kindergartens, a band in Bystřice pod Hostýnem and supported the construction of a railway, built homes for workers and even opened a casino. After the First World War, which left a heavy toll on the economic situation, the plant merged in 1922 with the Kohn-Mundus joint stock company and changed its name to THONET-MUNDUS. This new corporation operated until 1940. Until the end of the Second World War it was managed by a caretaker appointed by the Reich Protector. Following a decree of the Ministry of Industry from March 7, 1946, THONET became a national enterprise and in 1953 it was renamed as TON (the abbreviation standing for Továrna Ohýbaného Nábytku – bent furniture factory). After the transformation of the political situation in the Czech Republic in 1989, the organisational structure was changed and the company became a state enterprise. Since 1994, TON has been a joint stock company. Waste means everything that increases product costs without adding a value. They still want to offer their products for a reasonable price, so they cannot tolerate waste in their manufacturing processes. They look after them, ask what they need and approach them. They know that every problem has a solution. They understand design as a field through which they can proudly show their 150 years old manufacturing processes to today’s world. It represents the link between technology with a distinct signature and current demands for appearance and functionality. 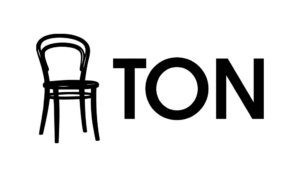 TON products are checked for quality at each manufacturing level and undergo specific strength and durability tests in accordance with European standard EN16139 Furniture – Strength, durability and safety – Requirements for non-domestic seating. This is why they can give a five-year warranty for structural integrity and know that their chair will last much longer. They make furniture with people and for people. They have built a great team, because they believe that the climate in their company is transferred onto their customers. They behave with the greatest respect towards natural resources. Evidence of this is their compliance with ISO 14001:2004. Browse our full range of amazing TON furniture and don’t hesitate to contact us for more information.